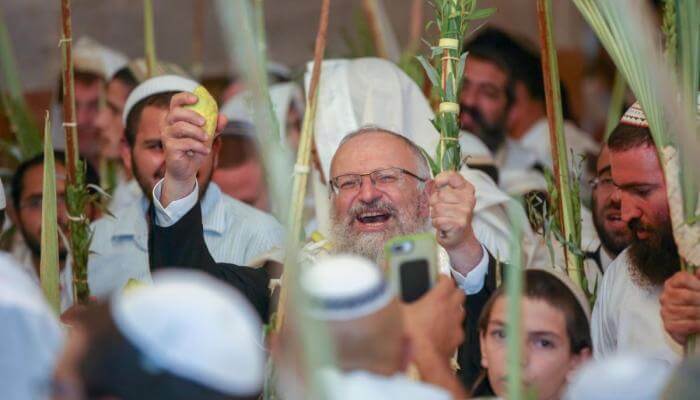 Wednesday began with a musical hallel led by Rabbi Shmuel Eliyahu, chief rabbi of Tzfat and son of Israel’s celebrated Chief Rabbi, Mordechai Eliyahu. Thousands packed the Hall of Isaac, the largest in the Cave of Machpela complex, and location of the entrance to the underground burial tombs. Guided tours of historical sites in Hebron and the “Touching Eternity” visitor center took place as well as kids activities including arts and crafts.